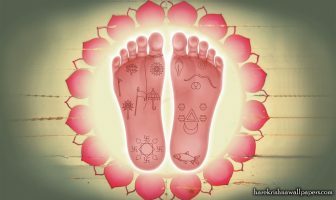 It is said that the lotus feet of Lord Nityananda are more cooling than millions of moons and the shadow of those lotus feet can cool down the entire universe. So, this idea that the universe needs to be cooled down, we also find in the Srimad Bhagavatam when Prahlad Maharaj says in the fifth canto: svasty astu viśvasya khalaḥ prasīdatāṁ, (Srimad Bhagavatam 5.18.9). Prahlad Maharaj was praying that there may be auspiciousness in the entire universe and that all the envious personalities in the entire universe may cool down – all those who are overcome by lust and see others simply as utensils to satisfy that lust; those who look upon the bodies of others without thinking of their well being, not caring for the soul that is inside but just care to satisfy their own lust through the bodies of others. So, we are looking at auspiciousness. This sankirtan yajna is sometimes described as ‘jagan mangalam amhasam’ (Srimad Bhagavtam. 6.3.2), it makes the entire universe auspicious. This cooling effect of taking shelter of the lotus feet of Lord Nityananda is indeed exciting! Srila Visvanatha Cakravarti Thakura speaks about the blazing forest fire of material existence and how all living beings are afflicted by the blazing forest fire, ‘saṁsāra dāvānala-līḍha-loka’ (Guruvastakam). People are afflicted by this dāvānala, this blazing forest fire! Narottama Dasa Thakura says, ‘dibā-niśi hiyā jvale,’ day and night, it is burning. So in this way, we see that the metaphor of the burning condition comes up many times of how this whole world is burning in this fire of lust, greed and anger, and also how it is burning within our heart! What can be said, it is very powerful! Sometimes even sincere people who want to be devotees, they also feel affected by the heat of the blazing forest fire. It is said in the Bhagavad-gita that sometimes a boat is swept away by the wind. Arjuna raises the question that sometimes a man acts against his will just like a boat being swept away by the wind. So here, we are looking at the key to strength; the key towards cooling down, towards not being affected by this material agitation is by taking shelter at the lotus feet of Lord Nityananda. How does one take shelter of the lotus feet!? That is an interesting question. It is said that one should pray to those who have taken shelter of the lotus feet of Lord Nityananda then one will also get the shelter of the lotus feet. So, one can pray to the dust at the lotus feet of Nityananda because that has always taken shelter at the feet of Lord Nityananda. 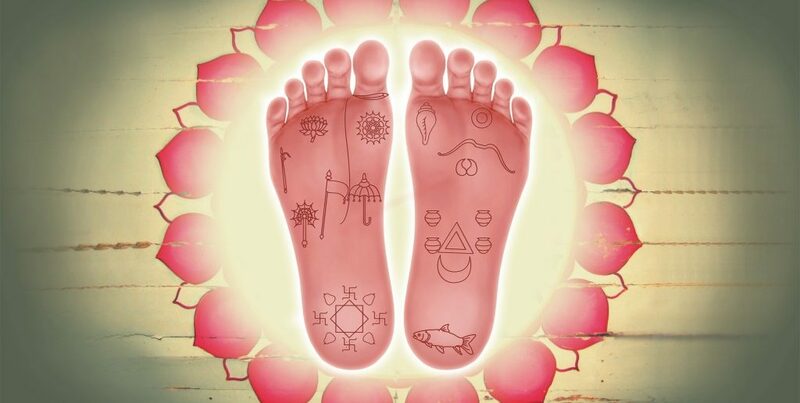 But how to get the dust of the lotus feet of Lord Nityananda? For an ordinary soul it is not so simple; it is not so easy. There are two places where this dust can be found, one place is the feet itself but how to get to the feet of Lord Nityananda? The other place where the dust can be found is in the footsteps of Lord Nityananda. After all one’s dust is in one’s footsteps. So, we take shelter of the footsteps of Lord Nityananda. 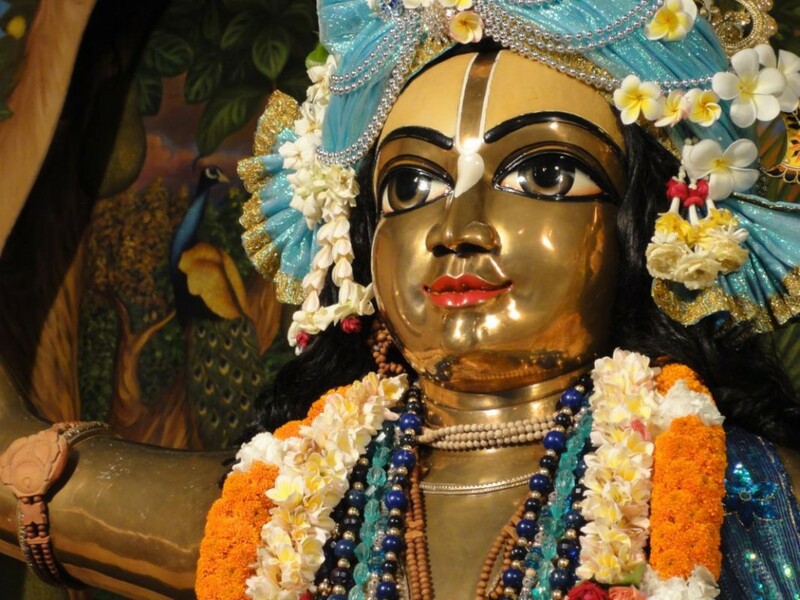 Lord Nityananda is the first servant of Lord Caitanya. First of all, Lord Nityananda is assisting the Supreme Personality of Godhead in his mission, advaitam acyutam anadim ananta-rupam, (Śrī Brahma-saṁhitā, Verse 33). 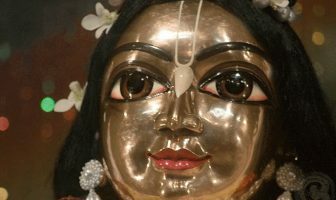 Krsna expands himself into unlimited forms. He expands himself in unlimited forms out of his causeless mercy and to experience pleasure. So Krsna is taking that form of Lord Nityananda to give pleasure to his original form, Lord Caitanya!